To experience a comfortable and a beautiful holiday, you will surely appreciate this hotel offering an all inclusive package perfect for a comfortable stay. 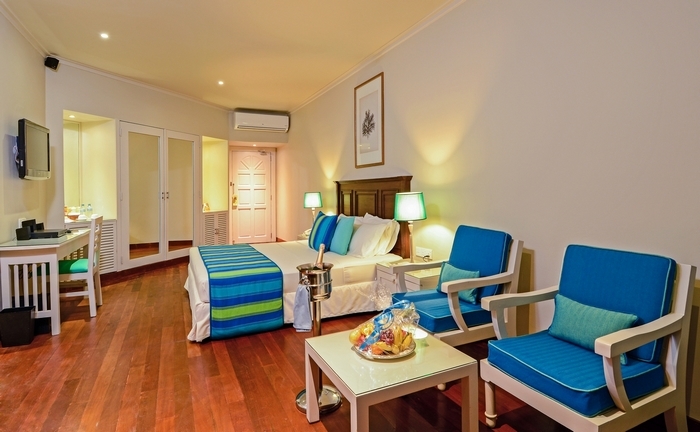 Simply disconnect from the world and enjoy natures glory as you go snorkeling or relaxing in the confines of your clean and spacious rooms. Take your pick from an array of sumptuous delights served for buffet. 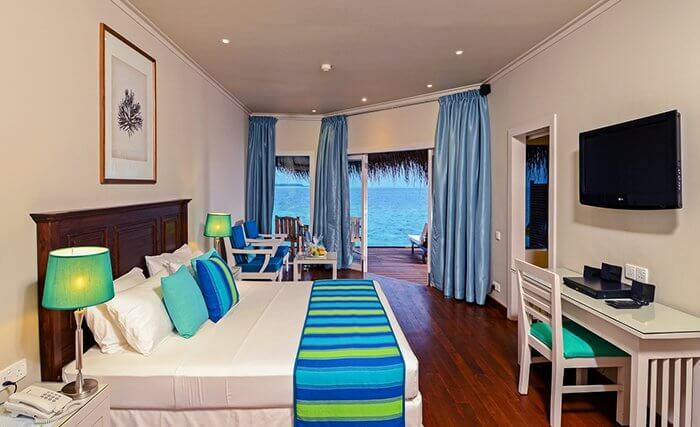 Adaaran Club Rannalhi Maldives is an impressive four-star property which is often addressed as one of the best Maldives hotels. 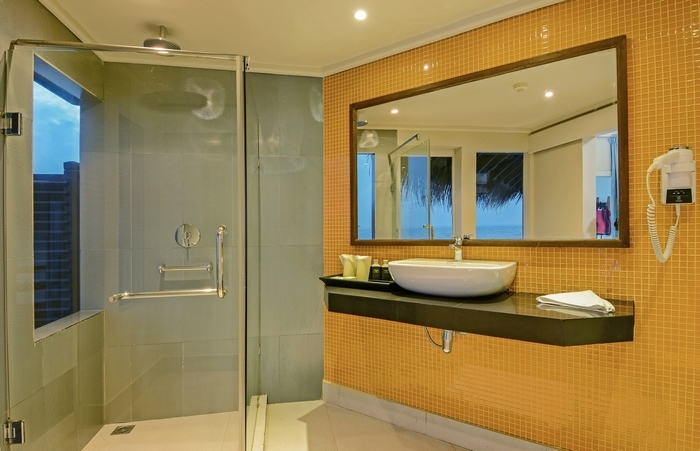 Located at the tip of the South Male Atoll, the property enjoys a unique location where guests can get enchanted by pristine and mystifying surroundings of beaches and the city of Male. While residing in the well-furnished accommodation options of the hotel, leisure-oriented visitors can not only bask in luxury and comfort of supreme value but can also indulge in adventurous scuba diving opportunities that can add a tinge of fun and thrill in an experience-led stay promised by the hotel. Also, a variety of facilities like a luxurious spa, a lush green garden, and a modern fitness center are available at the hotel to help guests to relax and feel rejuvenated. Here, an exciting experience awaits the travelers planning to explore the city with their closed ones. 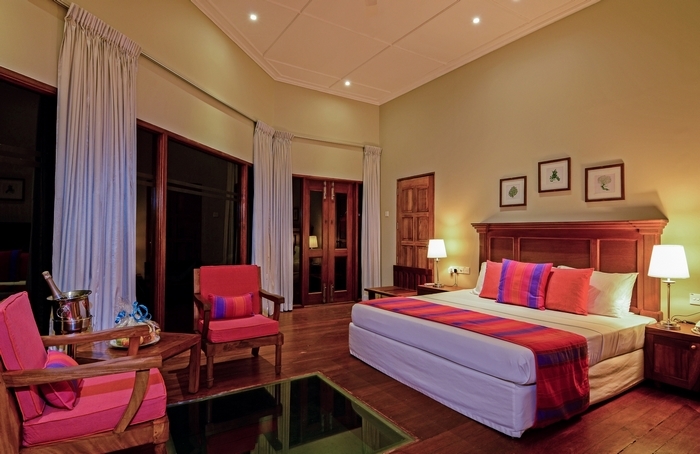 Want best Rannalhi Packages with this Resort? 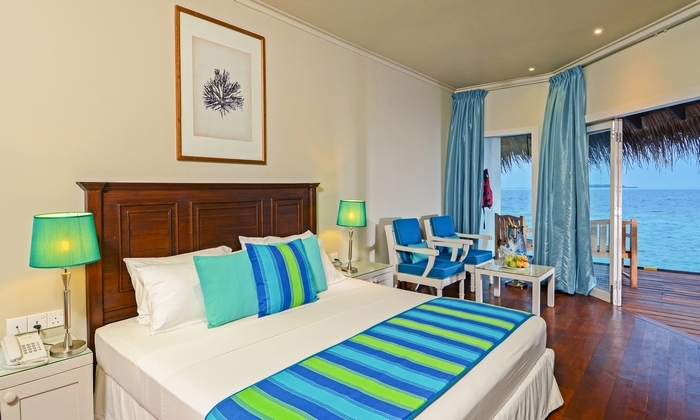 Adaaran Club Rannalhi Resort is home to spacious and elegantly designed 96 guestrooms which have been divided into Standard Rooms and Water Bungalows. These rooms not only boast of all modern conveniences but also offer a unique chance to witness the creativity of natural surroundings in and around them. The balconies of these units provide unobstructed ocean and garden views that further add to the ambiance of the hotel. Additionally, these are equipped with in-room amenities like an LCD TV, internet access, a minibar, sun deck, and tea/coffee making facilities. Even private bathrooms are there too along with free toiletries. No compromise has been made in the comfort and convenience of guests as far as the experience at Adaaran Club Rannalhi Maldives is concerned. The hotel facilitates a fitness center where muscles can be trained to remain fit and active throughout the stay. A terrace and a garden are also there to spend moments of quality in introspection. A spa and wellness center named Chavana Spa is available too at an additional charge where several concoctions are featured to soothe the senses of the guests. For added convenience, the facilities of the hotel include complimentary internet access, a baggage storage facility, non-smoking rooms, family rooms, laundry, and dry cleaning service. Activities like snorkeling, diving, canoeing, and fishing can be enjoyed to add some thrill and excitement to the experience. A game of table tennis can be enjoyed too. While staying at Adaaran Club Rannalhi Maldives, guests can enjoy a diverse buffet with dishes inspired by Maldivian cuisine along with admiring the panoramic sea views. From breakfast to dinner, the main restaurant of the hotel presents an ensemble of continental dishes and cuisine unique to the city of Maldives. Even fresh seafood delicacies can be relished with dear ones here. To enhance the quality of experience, guests can gorge on a fine selection of drinks at the hotels cocktail bar. 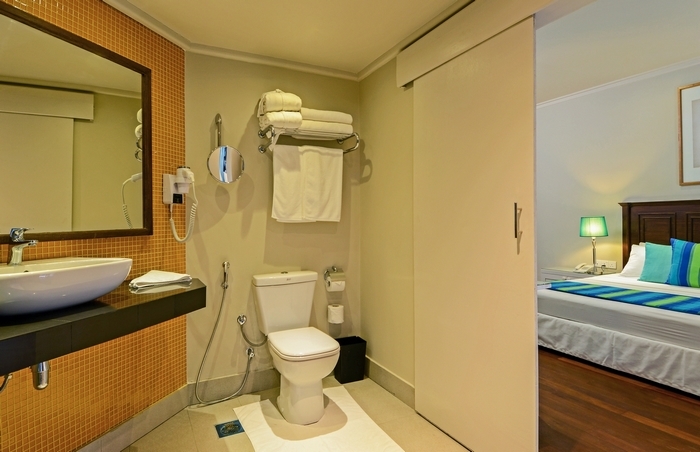 In-room dining is also available to enjoy dining in privacy. Even a candlelight dinner can be arranged at the request of couples staying in the hotel. 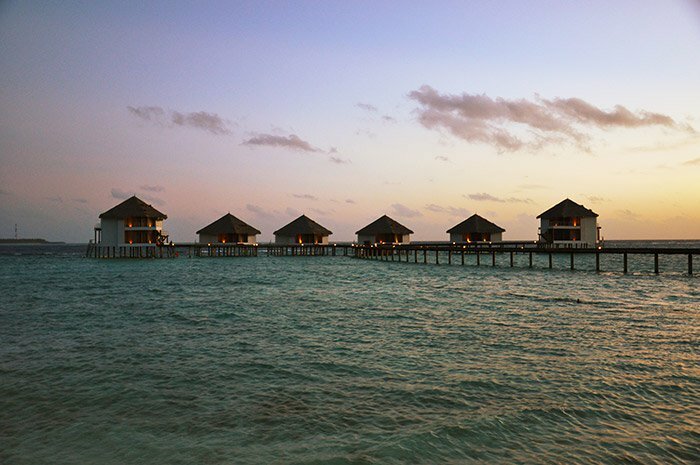 From breathtaking coastal landscapes to adventurous water sports activities, the hotel Adaaran Club Rannalhi Maldives promises a fine blend of fun, excitement, and enjoyment. Without making any compromise with guests needs and expectations, it aims to content them at its best. 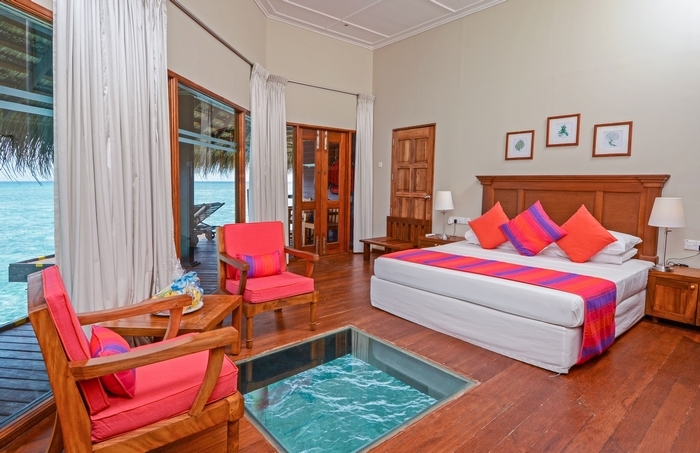 Does Adaaran Club Rannalhi provide a 24-hour front desk facility? 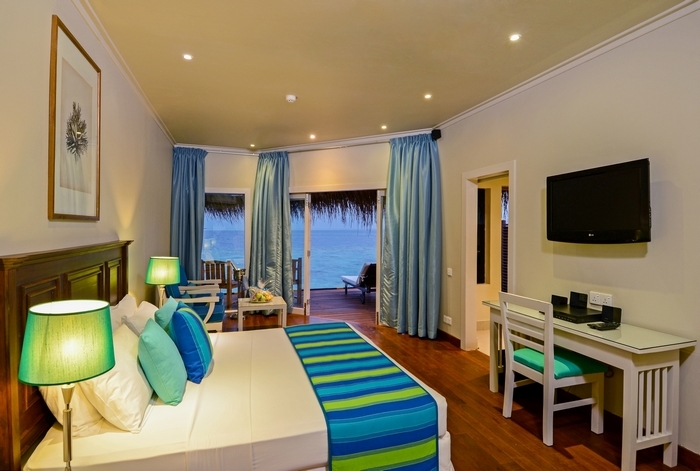 Adaaran Club Rannalhi Resort provides a 24-hour front desk facility. Is there any airport transfer facility at the resort? Yes, Adaaran Club Rannalhi Resort provides airport shuttle facility but at a surcharge. Does the resort feature concierge service? Yes, the resort features concierge service to cater to guests personal demands. What languages can the staff at the resort converse in? The staff at the resort is well-versed at speaking English, Russian and Chinese. Does the hotel facilitate BBQ facilities? Yes, Adaaran Club Rannalhi Resort facilitates BBQ facilities but on an additional charge. Apart from enjoying the relaxing and comfortable ambiance of Adaaran Club Rannalhi Resort, guests can indulge themselves in a range of enriching experiences in and around the hotel. It is here that guests can introduce themselves to the standards of Maldivian hospitality and can feel the warmth of being pampered and being catered to. While residing at the well-maintained rooms of the hotel, they can also witness the majestic charm of the tropical wonders of a vibrant island nation. A unique combination of breathtaking views, serene surroundings and a variety of efficient facilities come together to offer a holistic hotel experience to the guests. Be it a relaxing experience promised by the hotels spa or moments of rejuvenation enjoyed at the well-equipped fitness center, everything at the hotel ensures guests personal convenience and engagement during their stay. So, one must not miss the chance to be a part of an experience where moments come together to strengthen the bond that families and friends share.